Mothers Day has inspired many over the years to write poems and songs - this article chronicles some of the history of Mothers Day songs and prayers. In Australia, Mothers Day is celebrated on the second Sunday in May. 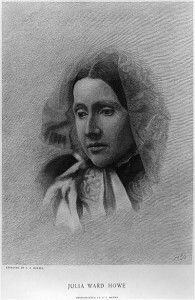 Poet Julia Ward Howe from a photograph by Josiah Johnson Hawes, engraved by Powell, Caroline Amelia Powell, c1887. The tradition of a national celebration of Mother’s Day in the United States grew out of reactions to the aftermath of the Civil War. 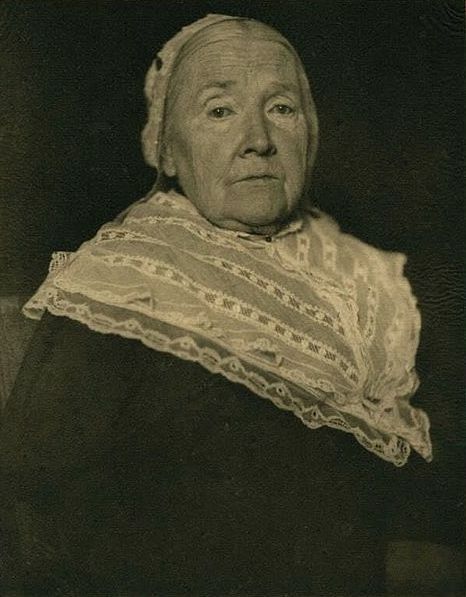 Poet, suffragist, and author of the lyrics of “The Battle Hymn of the Republic,” Julia Ward Howe attempted to unite women in the cause of peace, beginning with her “Appeal to Womanhood Throughout the World,” published in 1870. She then organized yearly observances of “Mother’s Peace Day,” beginning in 1872. She hoped to establish June second as an international Mother’s Peace Day, but her observances did not grow beyond the local level. In 1887, a Kentucky teacher named Mary Towles Sasseen began local annual Mothers Day celebrations, and in about 1904, Frank E. Hering of Indiana began work to promote the idea of Mothers Day as well. Anna Jarvis of Philadelphia campaigned to make Mothers Day a United States national holiday, beginning with a service to honor her own mother on May 10, 1908. 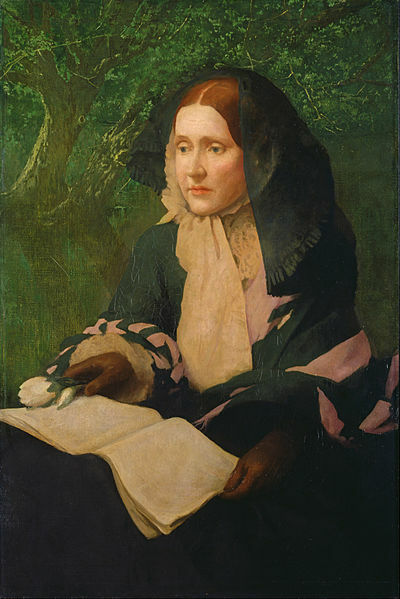 Her mother, Anna Reeves Jarvis, who died in 1905, had organized a “Mothers’ Friendship Day” in 1868, bringing together mothers of former Union and Confederate soldiers to help to promote reconciliation. So Jarvis’s idea to create a day honoring mothers grew out of her own mother’s work. She was more successful in promoting the holiday than her predecessors, and it became an observance in several states. It was Jarvis who suggested the second Sunday in May as the day for the observance. She also promoted the wearing and giving of white carnations as a symbol of this tribute to mothers. On May 9, 1914, President Woodrow Wilson issued a proclamation declaring the first national Mother’s Day. Jarvis did not stop there, but worked to establish a Mother’s Day in other countries. 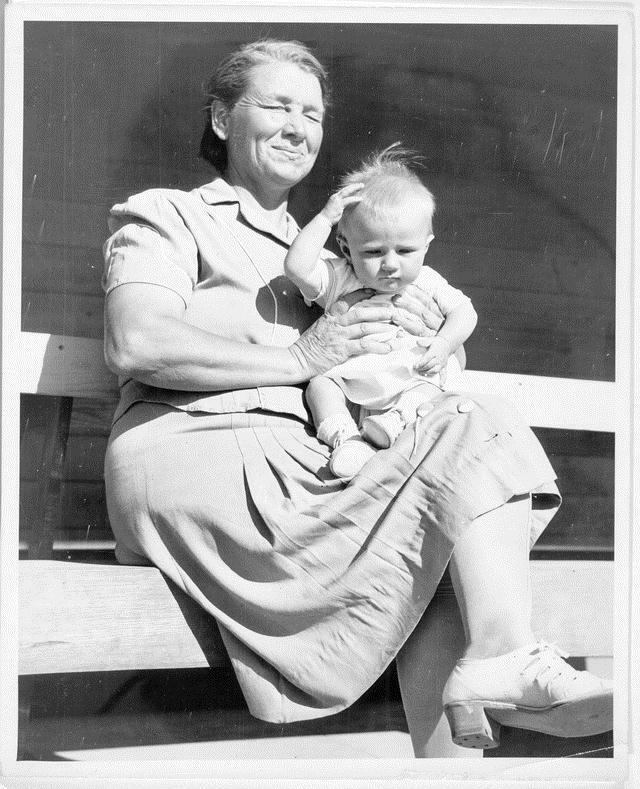 Myra Pipkin with an unidentified child. Written on the back: “Mrs. Frank Pipkin Age 46, 1941 – Youngest Great-Grandmother.” Charles L. Todd and Robert Sonkin Migrant Worker Collection. In their field work to document music and songs in the south, John and Ruby Lomax recorded John Lomax’s eldest daughter, Shirley Lomax Mansell, singing songs that she had learned from her mother, Bess Brown Lomax, who had learned them from her mother, Emma Penick Brown. These include the widely known lullaby, “All the Pretty Little Horses” and songs for older children, such as “I Love Little Willie,” sung in the words of a daughter sharing confidences with her mother about her sweetheart. The recording session aimed at documenting these family songs is especially poignant, as Mrs. Mansell had lost her mother in 1931. A different type of song that mothers may sing for children is the nonsense song and “Sow Weaving Silk,” sung by Myra Pipkin (Mrs. Frank Pipkin), is a good example. She was recorded by Charles L. Todd and Robert Sonkin as part of their documentation of migrants displaced by the dust bowl in California. Mrs. Pipkin, who was born in Arkansas, is thought to be the inspiration for the strong mother character, “Ma Joad,” in John Steinbeck’s novel, The Grapes of Wrath. You are worth more than all the world. Songs may express a desire to reunite with one’s mother, as in the complaint song “Let Me Go to My Dear Mother,” a song of a daughter begging to be allowed to go see her mother, sung by John Lowry Goree and recorded by John and Ruby Lomax in Houston, Texas in 1939. Goree says that he heard it as a child growing up in Marion, Alabama. Judging by the lyrics, it seems possible that it may date from the era when enslaved family members could be forcibly separated. In the spiritual, “My Mother Got Religion,” sung by Deacon Sylvester Johnson and recorded by the Lomaxes in Knight Post Office, Vernon Parish, Louisiana, the lyrics tell us that the reunion of mother and child may even be realized even after death. Additional songs sung by Shirley Lomax Mansell are available in The John and Ruby Lomax 1939 Southern States Recording Trip. An announcement describing this recording session was made by Mrs. Mansell’s stepmother, Ruby Terrill Lomax. An interview with Myra Pipkin and additional songs sung by her are available in the online presentation, Voices from the Dustbowl: The Charles L. Todd and Robert Sonkin Migrant Workers Collection 1940-1941 (the interview contains language that may be considered offensive). The field notes give the first line instead of the title: “Nada me importa – que me nieques la amistad” (“I don’t care that you deny me your friendship”), and so this appears instead of the title on item record. In 1883 at least two versions of this song were published with different people claiming authorship: Frank Mills and Ben Williams. A similar song by J. P. Skelly and Harry Miller was published the same year. The songs in this paragraph collected by Sidney Robertson Cowell form part of the WPA California Folk Music Project Collection. Alice Lemos Avila also provided a Portuguese transcription of “Minha mai minha amada,” available in the online collection. International Mother’s Day Shrine, Grafton, West Virginia. This site includes articles about the history of Mother’s Day and online exhibits. Topics in Chronicling America: Mother’s Day (Library of Congress). This guide includes links to historic newspaper articles related to the establishment of a national Mother’s Day in the United States.